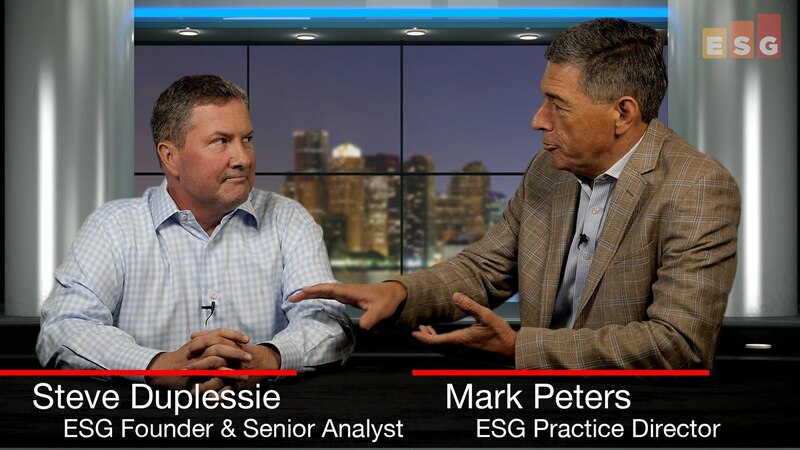 ESG Practice Director and Senior Analyst Mark Peters is focused on all types of storage systems, virtualized storage, multiple solid-state media, and the emerging opportunities represented by both software-defined storage and converged systems. 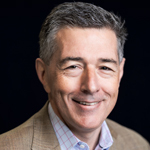 This seasoned analyst has three decades of data storage industry experience, holding senior management roles in sales, marketing, product management, business development, and customer intimacy in the U.S. and internationally, and even running his own communications consulting business focusing on storage and IT. 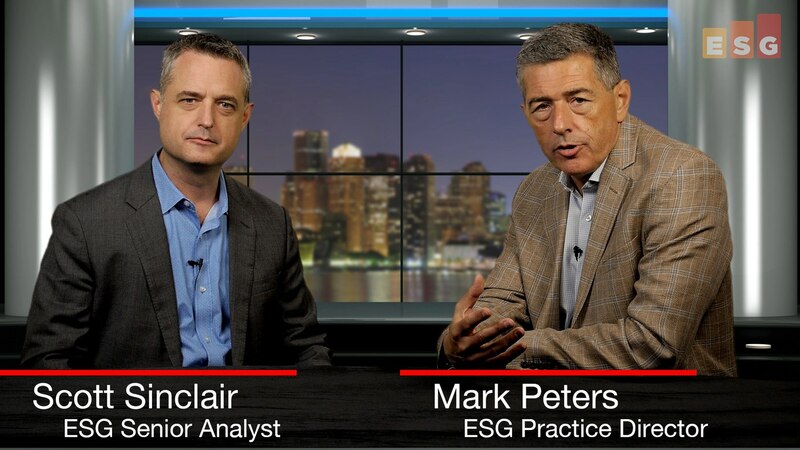 Mark uses his real-world experience and rock-solid ESG research to disentangle the market outlook and lead his clients to progress and profit. 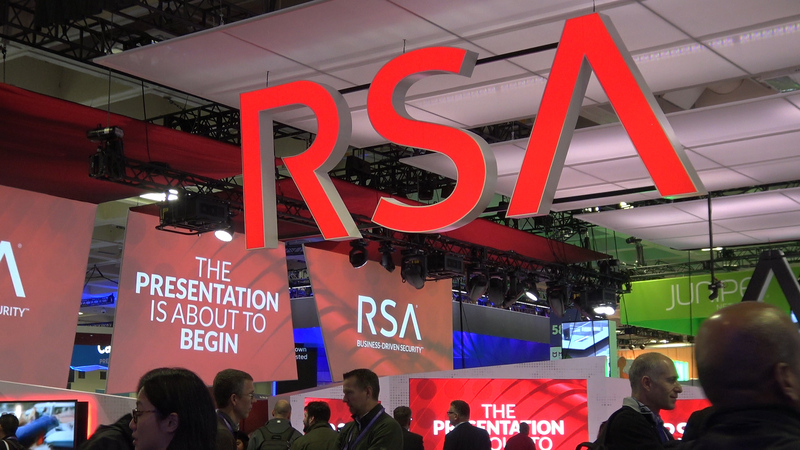 This year’s RSA mega-conference in San Francisco seemed intent to add some silver linings to not only the grey clouds that hung over the city last week, but also to the incessant news cycle that suggests bad actors in the security space are always and inevitably one step ahead of the good guys. If the energy, investments, and enthusiasm that were on display at the Moscone Center can be even somewhat matched by efficient adoption and effective execution, then it seems as if this is a war - now that we as a society, and not just as an IT industry, are fully awakened to it - that can be won. Enough. Sometime. 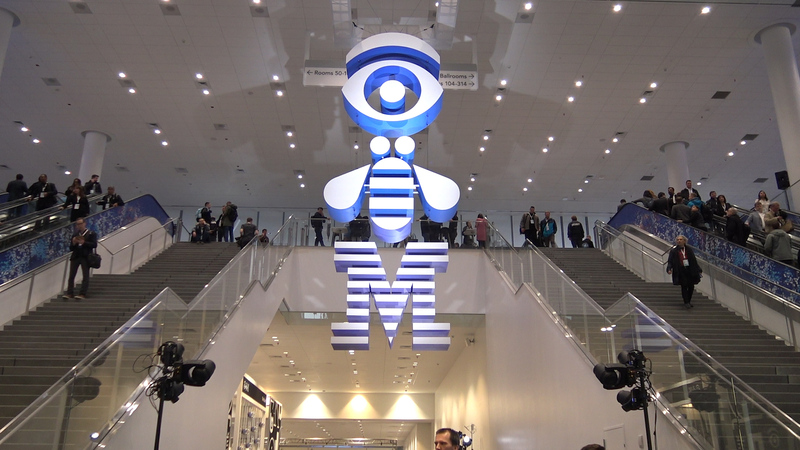 IBM’s Think 2019 event was made to do just that – make you think. Unlike many vendors, whose events can be like giant market stalls, Think was more more like a visit to your old college; and that's not a pejorative, it’s a compliment. Sure, it could get a tad calculated or even over-earnest at times, but overall it was a refreshing take – stopping and thinking...though in San Francisco last week it was advisable to undertake your contemplations inside the Moscone Center, as it poured with rain on the main mid-week days! Weather aside, the move from Vegas to San Francisco was a good one. The positive changes at NetApp over the last few years have been impressive and hard to ignore. One can argue about what is chicken and what is egg in terms of strategy and execution, but the bottom-line results speak for themselves. 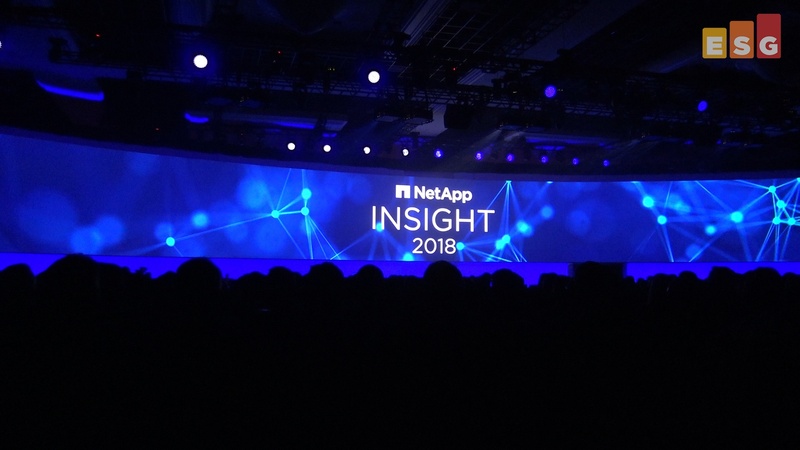 NetApp’s 2018 Insight event was nothing if not engaging: not just for what this vendor is doing (in a traditional announcement and product sense), but for what it is rapidly becoming (in terms of its place in the burgeoning information-based-world). Of course, NetApp’s impressive – and continuing – recovery and re-formation is only possible because of its excellent execution over the last few years: Focus, finances, and futures have been the emphases, and they are paying off. 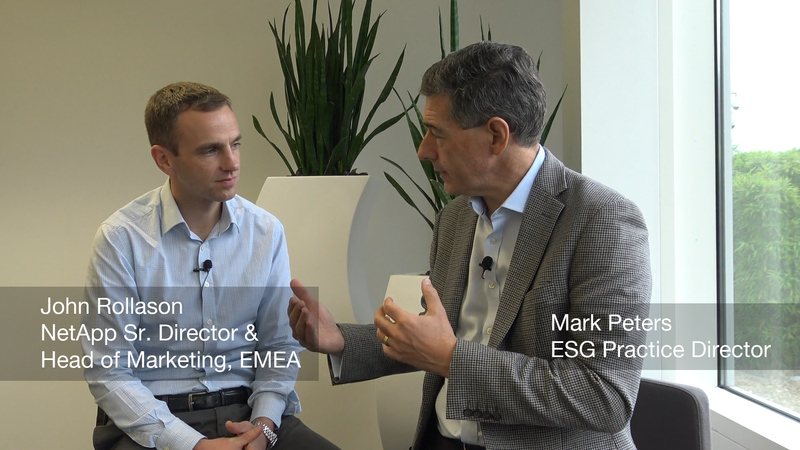 Take a look at ESG’s On Location video to get a feel for this year’s event and some key takeaways. 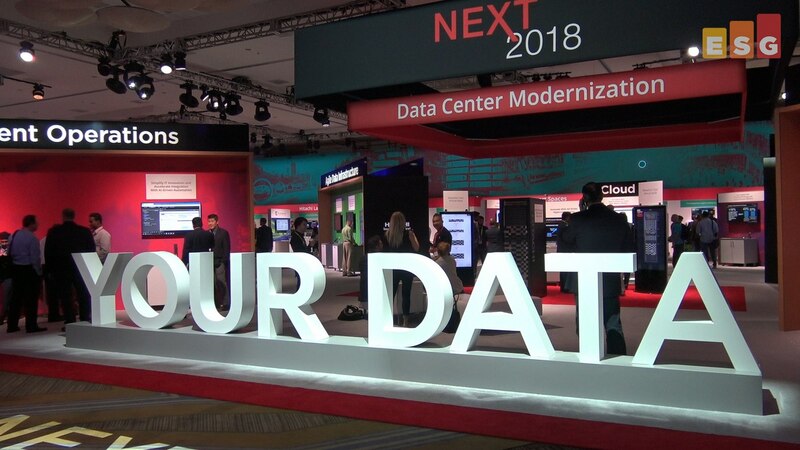 Last week saw the 2018 Hitachi Vantara NEXT conference. For those of you not following along closely, Hitachi Vantara is the artist previously known as, well, many other things...! One of the ongoing challenges the company faces (both for itself, and indeed to a greater extent when we consider it in association with its Hitachi parent) is how to describe its panoply of abilities, both IT and otherwise, in a cohesive manner. 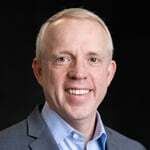 This conversation is an update with Scott Sinclair on a couple of the key trends in the storage part of the IT ecosystem as we move towards the end of 2018. While the terms discussed here might not be brand new, the extent of focus and interest is moving extremely rapidly. The things Scott wanted to emphasize were NVMe and optimized Hybrid Storage Management. It’s easy to talk about automation within IT as an inherently ‘good thing’; but, as Steve Duplessie explains in this conversation, things in IT are invariably done for far more pragmatic reasons than just some vague intrinsic nice-ness! As we move from functional automation (where the real value usually emphasizes cost saving) to more holistic or system-wide automation - both across and between systems – the motivation is more about getting better ROI from better and faster business decisions; moreover those improvements can often be based upon inputs from disparate data sources and applications. This conversation with Doug Cahill examines the crucial - but all-too-often overlooked - necessity for cooperation between DevOps and Security teams. While there’s pretty much universal agreement that built-in security is better than bolted-on security, nonetheless the apparently (or at least potentially) competing objectives of DevOps (faster, faster, leaner) and Security (careful, careful, preclude risk) can appear to run counter to everyone’s desires. 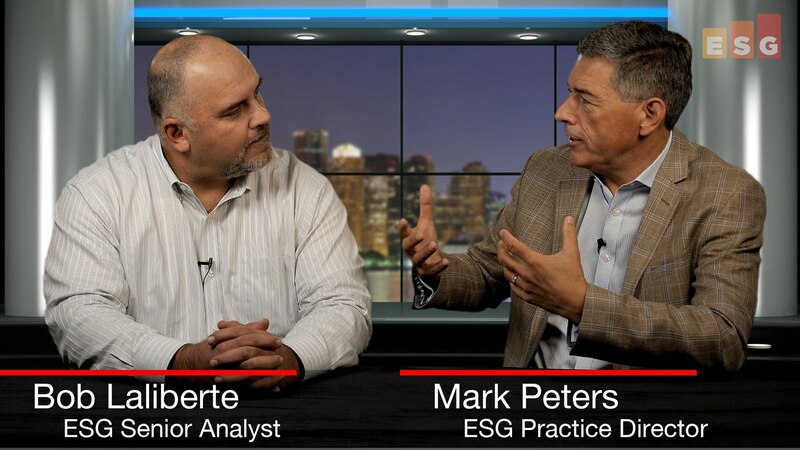 In this conversation, Bob Laliberte talks about the increasing relevance of [optimized] networking in the contemporary IT world; of course, networking has always mattered, but it has often been the most likely component of IT infrastructure to be viewed as "plumbing." These days, however, with the emphases on mobility, clouds, the edge, and distributed-everything (data and applications just as much as endpoint-access), the integral impact of networking on connectivity and experience is becoming ever clearer. When everything-IT is interlinked, the linkages matter intently! Bob outlines the main points and then talks about how this new focus on optimized networking is being - and can be - made manifest. 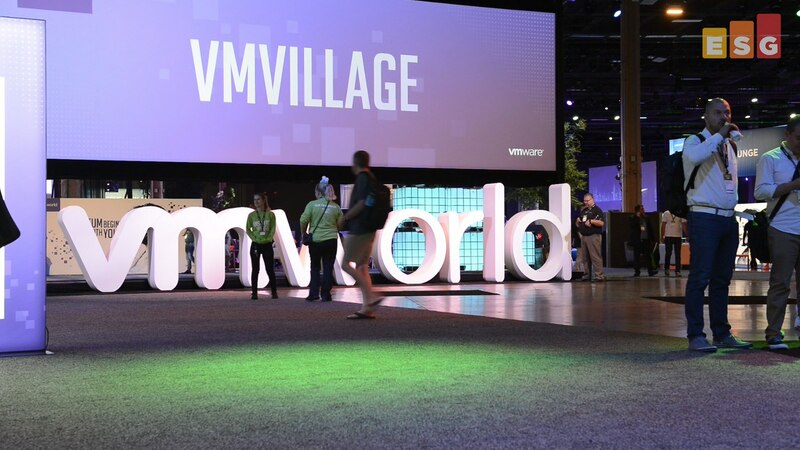 Yes, VMworld is a vendor event. But it is also as near to a general IT event as there is. The 2018 version in Las Vegas showed this “parallel dichotomy” in full force. A focus on the company’s own progress, innovation, and execution was pretty much matched by a focus on its partnerships and its integral position in the overall IT ecosystem. 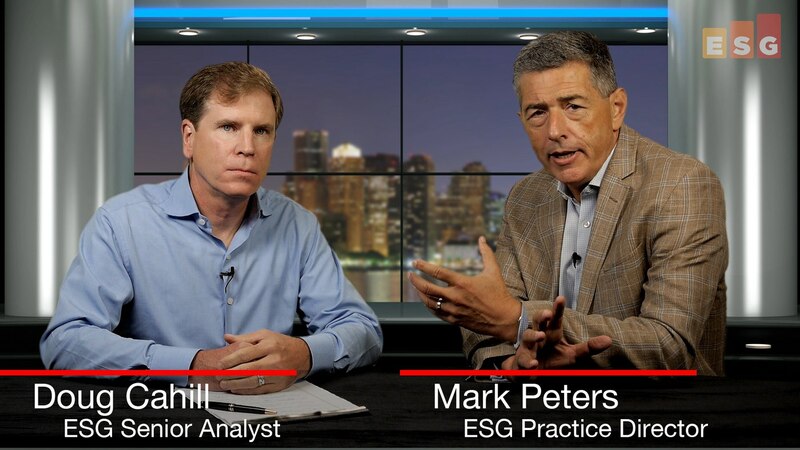 It’s hard to cover everything; but an extensive ESG contingent did its best to distill down some of the key new announcements and take-aways. It means that our On Location video is a little longer than usual at 7 minutes, but it’s packed with insights.